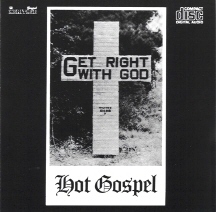 A great set of gospel from its glory days, drawing from the previous collections Get Right With God: Hot Gospel (1947-1953) and Get Right With God: Hot Gospel (Volume 2). This is all high-energy, up-tempo stuff that rightly deserves the subtitle “hot gospel”. The slightly crazed vocals, the imagery of fistfights with the devil, the tracts against moonshine, testimonies to the virtues of FDR, it all could probably never be duplicated. And I say that knowing full well the paltry chance anyone would even try, ever. There are a few well-known names represented here, like The Five Blind Boy of Mississippi, but mostly these are fairly obscure artists. Nonetheless, this makes a great introduction to the genre. There is a significant overlap with the longer and later-released set Gospel – The Ultimate Collection, which also looks pretty good on paper (though I haven’t heard that one). If one track here stands out from the others, I would have to say it’s “I’m Going to that City” by Sister O.M. Terrell, which can give any delta blues track a run for its money. Dylan’s albums from his “christian” period have aged surprisingly well, considering how frequently they are overlooked entirely or dismissed as unworthy. 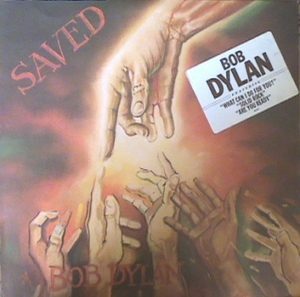 Saved is definitely the most dogmatic and preachy of the batch, and probably the least regarded. For sure, the religious content is rather drab. It doesn’t offer much. 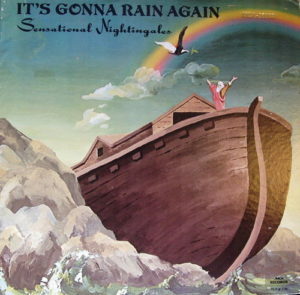 But taken in the context of where gospel music was around 1980, this is actually a very fine example of it. The highlights are “Satisfied Mind” and the title track. Dylan evokes some of the choir style (reference the “crown prince of gospel” Reverend James Cleveland, The Edwin Hawkins Singers, etc. ), which was still one of the most popular styles in gospel, while at the same time giving this a more contemporary rock sound. [But who would have thought that Dylan would use the riff from The Allman Brothers Band‘s “Midnight Rider” for “Solid Rock,” on a gospel album?] It works fairly well. Keith Richards quipped that Dylan only cynically got into his “christian” phase to sell records. But compared to what Dylan was doing just prior to and just after this period, it’s hard to deny that he was quite enthusiastic about this music. Not even in his later career critical resurgence did his music have the kind of energy it had at this time. This one certainly is NOT the most compelling offering Dylan has put forth. But it’s a respectable album, and far superior to some of the dross the man would dump on the world a few years down the road. 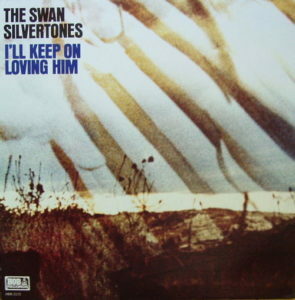 Much like The Soul Stirrers and Fairport Convention, The Swan Silvertones were recording long after the original members had left. The current group was led by lead singer Louis Johnson. The songs all have a Memphis soul feel. There are none of the intricate vocal harmonies of years past. Louis Johnson still has a good voice, though he doesn’t seem to have the range he once did. The new singers aren’t prominent enough to be memorable here. Still, the mellow sound of the album has its charms. This might just be the best offering from the group’s years on Savoy Records. A pretty mediocre album. It’s in the soul-inflected style of It’s a Miracle. However, producer John Bowden has done an absolutely atrocious job recording this. The instruments seem incredibly muddy and indistinct. At times the recordings are so murky that it seems like the instrumentalists are just plain out of sync with the vocalists. The murkiness of this recording is just as bad as on In God’s Hands. 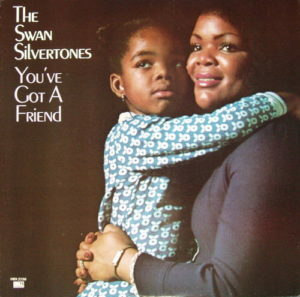 You’ve Got a Friend is among the more listenable of the albums The Swan Sivertones recorded for HOB Records. The group has better success here melding their vocals with the instrumental backing than in subsequent years. Of note is the increasingly prominent use of raw, slightly twangy electric guitar and rock-inflected organ. Though there really are no standout tracks, the version of the gospel standard “Well, Well, Well” and covers of James Cleveland‘s “Prayer Will Move It” and the recently popular “You’ve Got a Friend” are nice. A solid effort. Longtime member John Myles was still around for this mid-1970s album, though his input seems to have been waning. Louis Johnson and Sam Hubbard take lead vocal duties. Most of these songs are respectable but not particularly remarkable. The best of the bunch are the title track, the organ-drenched “Happy With Jesus Alone”, and “Life of a Sinner”. The last of those finds Louis Johnson going much further than usual with some of his most subtly complex songwriting and arranging, with vocals punctuated by a somber horn and a jittery, rambunctious piano. The group does seem to run a bit low on ideas in places. So they borrow a guitar riff straight out of Al Green‘s “Love and Happiness” to open their version of “Leak in This Old Building”. But generally The Swans bring enough energy to the table that it’s easy to let the album’s weaknesses slip by. On the whole, this is a characteristic effort from the group’s tenure on HOB Records, and worth a listen for anyone with an interest in soul-inflected gospel. 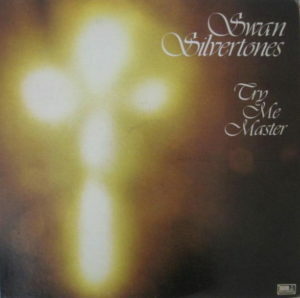 Try Me Master was the final album The Swan Silvertones released for HOB Records, and their last album with longtime member John Myles. It’s a decent album for the period, with better production values than their many low-budget releases of the previous eight or nine years. The group remakes their perennial favorite “Jesus Remembers” and adapts a few gospel standards. 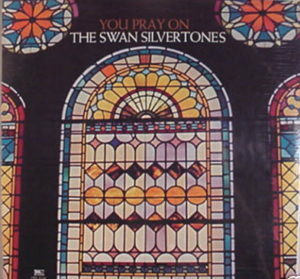 The title track and “Please Help Me” (with keyboards a little like Joy Division‘s “Love Will Tear Us Apart,” of all things) are the highlights. The material is listenable throughout, if a little thin on side two. Fans will probably enjoy this even though it doesn’t break any new ground. A good set, though still an imperfect one. 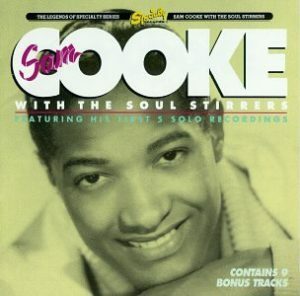 Many reissues of Soul Stirrers material with Sam Cooke have overdubs that were not present on the original releases. Fortunately, the versions here are the originals. On the other hand, this set includes Sam Cooke’s first 5 solo recordings (some originally released under an alias “Dale Cook”), and those are for the most part a distraction. Sam Cooke’s softer, lighter lead vocals took gospel music in a whole new direction. Soulful, mellow gospel produced by Ira Tucker of The Dixie Hummingbirds. This lineup of The Sensational Nightingales featured Horace Thompson, Brother Joseph Wallace, Charles B. Johnson and Willie George Woodruff. The group was among those top-flight gospel acts that updated their sound to contemporary tastes into the 1970s. With accompaniment led by a reverb-heavy guitar, the smooth, simple vocals are all catchy and inviting. 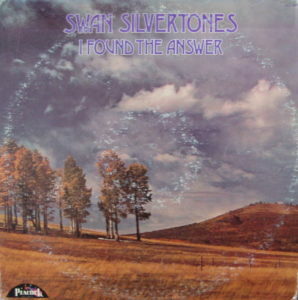 The sound is vaguely similar to The Swan Silvertones‘ I Found the Answer, The Consolers, and probably lots of other gospel of the day on Peacock Records and Nashboro Records. There is some filler toward the end, but I can’t help but really enjoy this. An album supposedly culled from leftover material recorded for Vee-Jay Records in the 1960s that develops a soul-inflected sound — though given the apparent absence of Paul Owens and the possibility that it’s Claude Jeter imitator Carl Davis rather than Jeter himself here, I wonder if this material is from the post-Vee-Jay era. There are bouncy, up-tempo rhythms as well as slower, smoother, organ-drenched sounds. At times there is even just a bit of country-rock influence. From songs like “How Great Thou Art” it’s easy to see the direction the group would take through the mid-1970s during their tenure on HOB Records. This album has an easygoing charm. 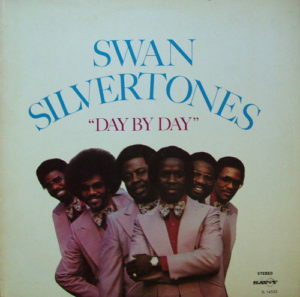 It’s yet another forgotten gem in The Swan Silvertones’ catalog.